Pixelmator on Thursday joined the growing list of Retina-ready apps to take advantage of the high-resolution screen on the new MacBook Pro. Pixelmator images can now be seen in high definition. The updated version of the popular image-editing application made its debut Thursday morning in the Mac App Store. In addition to displaying images in high definition, Pixelmator also now offers iCloud integration—letting users keep updated versions of their work across multiple Macs—as well as additional support for Apple’s new Mountain Lion operating system. 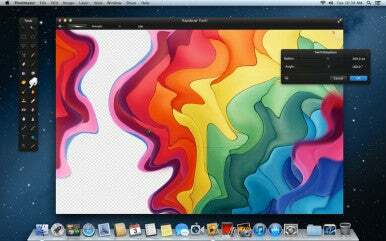 Pixelmator costs $15 and is compatible with Macs running OS X 10.6.8 or later.